Home Travel Have You Discovered The 4 Corners Of India Yet? Have You Discovered The 4 Corners Of India Yet? Let’s stretch our plans a bit and visit the extreme points of India. While the actual Northern most point of India is in the Siachen Glacier, it is not exactly a travel spot for obvious reasons. So the Northern most point where we can visit happens to be the beautiful Leh – Ladakh. The ladakh region is known for its sweeping scenic beauty and indigenous festivals. The region is enclosed in between the Himalayan and Karakoram mountain ranges with large crystal blue water bodies. The energy and atmosphere during special festivals is extremely vibrant and unlike everything you have seen before. You can also plan treks for some adventure and fun. Ladakh is also famous for its authentic momos and thukkpas (YUMMY!). 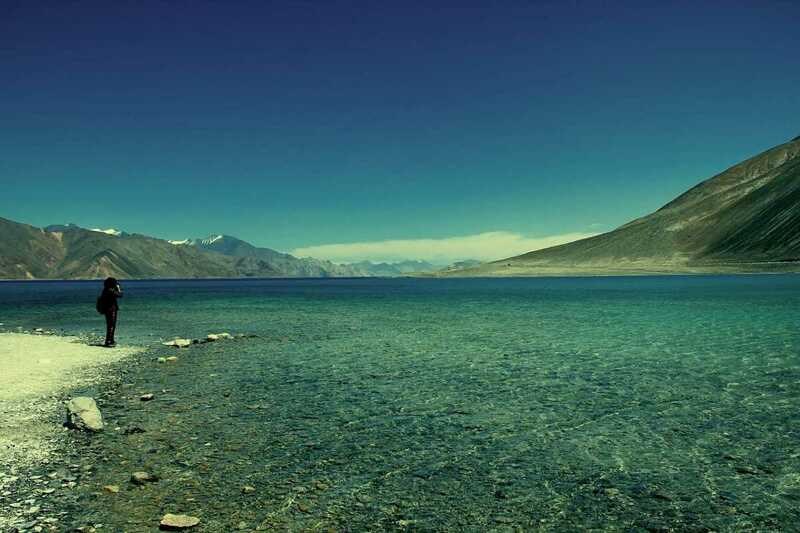 An overnight camping by the sparkling blue Pangong Lake is a must have experience. Basically, Leh – Ladakh is like a dream. June to August is said to be the best time to visit this place. Indira point on the Campbell Bay village is the southernmost point of India. It is, actually, one of the least explored places. Campbell Bay is a mysterious place by its reputation and is also one of the very few places in Andaman open to tourists. Indira point is a treat for the eyes because it is home to one of the most wonderful lighthouses of the world. The magnificent beach is in complete isolation as there is forest on one side and endless ocean on the other. The plants and animal species found in the forest are peculiar and one of its kinds. The sunset is beautiful! Indira Point can be reached by Helicopter services available from Port Blair. If you want to get away from the pollution and chaos of daily life, visit Anjaw. Anjaw is a small, offbeat, extremely green town in Arunachal Pradesh filled with shining waterfalls, beautiful river streams, and pine forests. This is the perfect place to find solitude and get immersed in the natural surroundings and greenery of the Earth. Apart from the natural scenic beauty, you will also find yourself appreciating the pleasant weather and its graceful ethnicity. Travelers also often indulge in adventure sports activities in the district to feed their adventure energy. 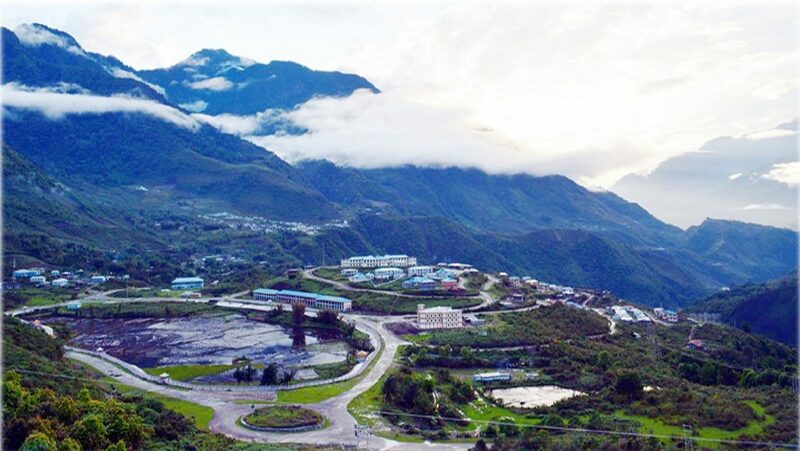 You can also visit the extremely beautiful tourist spots near Anjaw like Hawai & Hayuliang, Dong, Tezu, etc. The westernmost point of India happens to be ‘Sir Creek’ in Kutch. Sir Creek is actually a tidal estuary on the border of India and Pakistan and hence not for civilians to visit. But, Kutch is. Rann of Kutch is one of the most remarkable places to visit in Gujarat. It is said that travelling to Kutch is like visiting a whole new world. Apart from its picturesque ocean of salt surrounding the Aravalli hills, the region is most popular for its unuiqe culture, exquisite handicraft, melodious folk songs, and foot-tapping folk dance. To begin with, the stunning White Salt Desert is a sight to behold. Camel rides and long walks on the salt desert is an experience you will always remember. You can also be witness to its rich heritage at places like Kutch Museum, Prag Mahal, Aina Mahal, Vijay Vilas Palace, etc. Gujarat Tourism also holds a Rann Ustav festival, which begins at the start of November and extends until the end of February. The festival is a world in itself. It is one of the must visit places of India! Aaaand we are back. How did you like the tour? It’s nice to know how beautiful the 4 corners of your country are, right? Now go make plans and visit them soon!